With the TOPS Hammer Hawk, Leo Espinoza wanted to design a heavy duty tomahawk style axe that combines unstoppable power and eye-pleasing aesthetics. 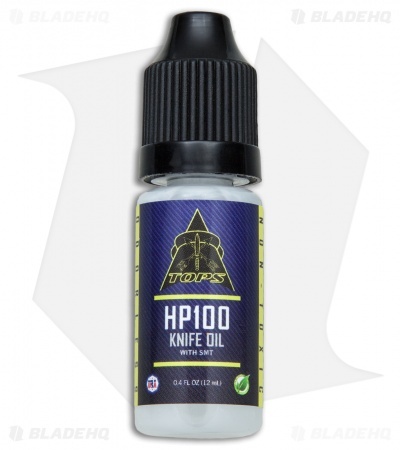 Each feature was carefully thought out, from the full tang 3/8th thick blade, to the high performance leather sheath. 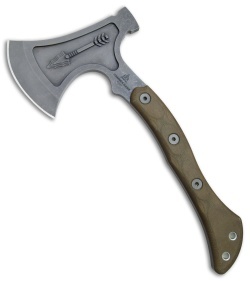 This is a hatchet sized tomahawk that can easily handle the work of a full size axe. The TOPS Hammer Hawk is a no-nonsense chopping and smashing tool that belongs in everyone's camp or survival gear. 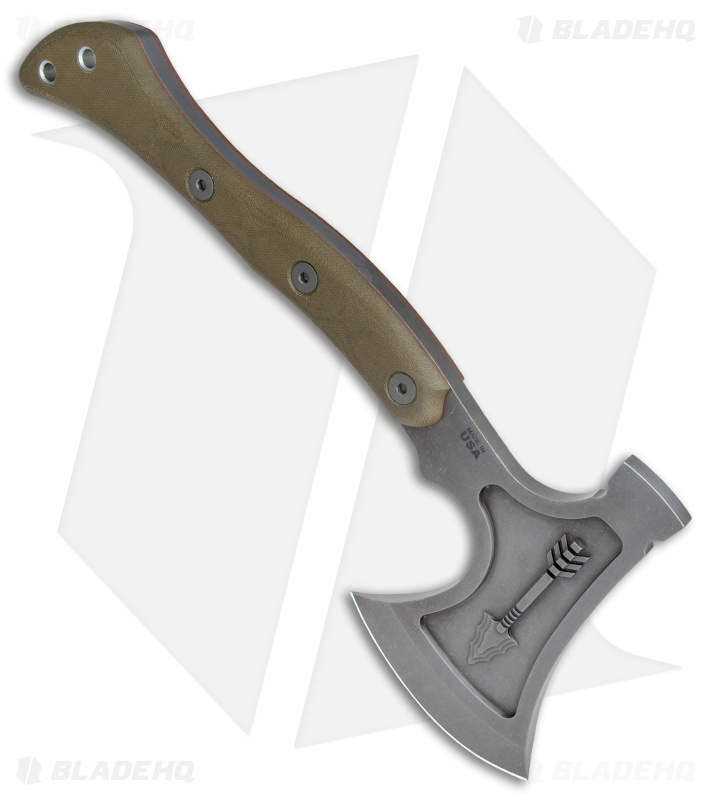 Hammer back end has been hardened to easily smash through anything that stands in your way. Full green canvas micarta handle scales are rounded for a secure and versatile grip. 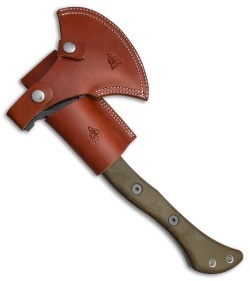 2-Piece leather sheath allows the axe to be quickly removed from the belt sheath without removing a belt clip.